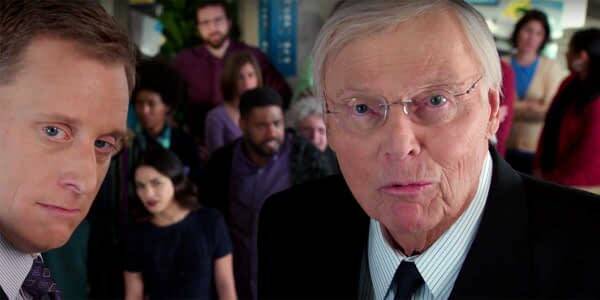 In honor of the passing of the man would always be known as Batman and in response to a growing number of online requests, DC Entertainment has released the unaired episode of NBC’s Powerless featuring a guest appearance by the late Adam West. The episode would turn out to be one of his last projects, as the beloved actor passed away on Friday, June 9 at age 88. 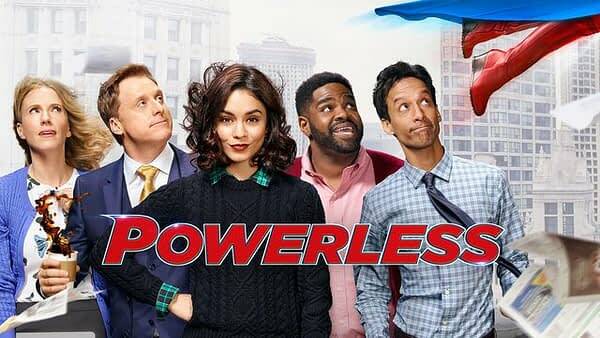 Located in the DC Universe, Powerless follows the adventures of Emily Locke (Vanessa Hudgens – Sucker Punch), new to Charm City as she assumes her new position as Director of Research & Development at Wayne Security, a subsidiary of Wayne Enterprises that specializes in new inventions to protect ordinary citizens from the battles between superheroes and supervillains. With the help of office mates Teddy (Danny Pudi – Community), Ron (Ron Funches – Undateable) and Jackie (Christina Kirk – Manhattan), Emily looks to turn Wayne Security into a huge Wayne Enterprises success…even if she has to drag her painfully inept boss Van Wayne (Alan Tudyk – Firefly) the entire way. NBC pulled the sitcom from its weekly line-up in late March and officially cancelled the show in May. 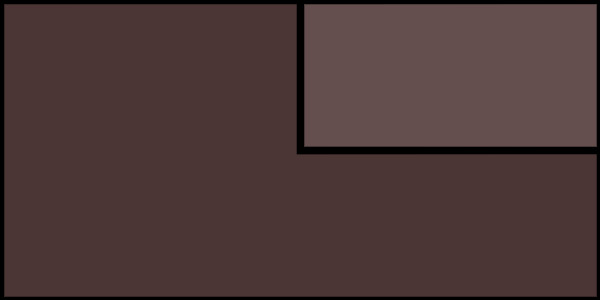 At the time of its cancellation, there were two Powerless episodes that remained unaired: Win, Luthor, Draw; and the season/series finale, Van of the Year.